How much is Colin Kaepernick Worth? 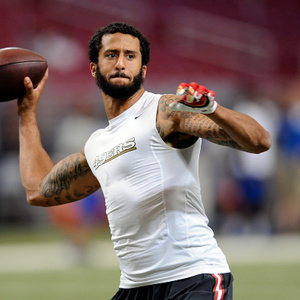 Colin Kaepernick net worth and salary: Colin Kaepernick is an American football player who has a net worth of $20 million. His peak NFL salary was $12.4 million which came during the 2015 season. Born in Milwaukee, Wisconsin, Colin Kaepernick originally established himself as a baseball player to watch, receiving several scholarship offers to college teams when he was in high school. However, he wanted to focus on football, and was offered a spot at the University of Nevada. As a college football player, he quickly showed himself to be an excellent investment, and he was regularly pointed to as one of the best college quarterbacks in the nation. He received numerous honors during his college football career, and set multiple records. He was also drafted by the Chicago Cubs in 2009, but turned down the MLB offer to continue playing football. He signed with the San Francisco 49ers in 2011, and played as a backup quarterback until 2012, when he began to play more regularly. 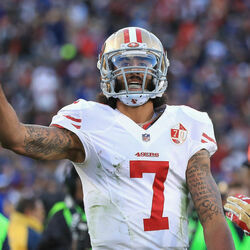 He excelled throughout the 2012 season, and ultimately led the 49ers to the Super Bowl. In June 2014, Colin and the 49ers reached a six year extension deal. The deal could have allowed Colin to earn as much as $126 million from the deal and $61 million could have been guaranteed. The extension also came with a $12.3 million signing bonus. 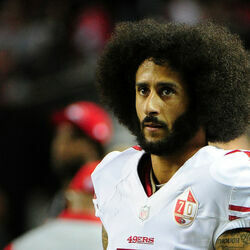 After Kaepernick discovered that the 49ers were planning to cut him, in March 2017 he opted out of his contract in order to become a free agent. When it was all said and done, Colin earned just under $40 million from his $126 million contract. 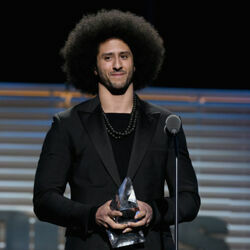 Colin Kaepernick NFL Lawsuit And Settlement: Colin filed a grievance against the NFL in 2017 alleging that the league and owners conspired to keep him from playing in the NFL in response to his decision to kneel during the National Anthem. The lawsuit was settled privately in February 2019 with an undisclosed payment. On February 18, 2019, several sports news outlets reported that the settlement amount might have been in the $60 – $80 million range. A month later it was revealed that the true settlement amount was more likely around $10 million.